In this episode, our 17 contestants are pitted against one another to see who truly shows the features of an American pioneer, worthy to lead their own tribe to victory. Later on, they are then split into their initial tribes, each with a pioneer as captain! 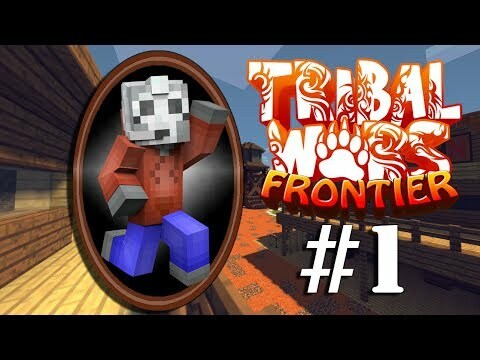 Welcome to Tribal Wars: Frontier, the fourth season in my Minecraft gameshow, Tribal Wars! In this game show, 17 competitors compete against one another in various minigames after being sorted into tribes! These tribes then compete against one another in order to earn points. After 3 minigames, the tribe with the lowest points is ELIMINATED. This continues until there is one tribe left. This tribe then battles it out against one another to decide the true champion! Follow the chosen hero on his quest through the Icy Kingdom of Games to the top of the mountain called ''YouTube"! Don't forget to like, comment & subscribe if you wish to assist me on our epic journey!